Welcome to the 2015 Golf Preview, where I’ll take a look at selected golfers and examine what to expect over the next twelve months. 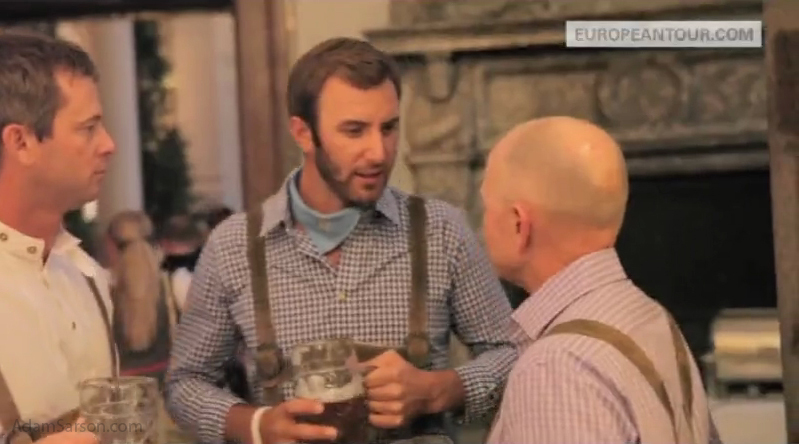 Today, we look at Dustin Johnson. As we inch closer to 2015, there’s an argument to be made that no golfer on the planet is more intriguing than Dustin Johnson. At 30 years old, Johnson has already posted eight wins on the PGA Tour, with most of them coming at big events like the Pebble Beach Pro-Am and his most recent victory at the 2013 WGC-HSBC Champions. He’s also had plenty of chances to win a major in his first few years on the PGA Tour, with his best likely coming at the 2010 PGA Championship when he was penalized two strokes on the 72nd hole for grounding his club in a “bunker” at Whistling Straits, which made him miss out on a playoff by one shot. This came just two months after the 2010 U.S. Open where he had the lead in the final round before ballooning with an 82 to finish tied for 8th. Prodigious power and a very underrated short game, much like two-time major winner John Daly, have made Johnson one of the best players in the world from the moment he stepped onto the PGA Tour in 2008. Unfortunately, also like Daly, that hasn’t been the whole story. Johnson has had trouble staying on the course over the years, with injuries and rumoured suspensions for bad behaviour getting in the way, and the latter appeared to reemerge in the middle of the 2014 season. At the end of July, it was announced that Johnson was taking a leave of absence to deal with “personal challenges”, but it didn’t take long for the story to change, as Golf.com reported that Johnson was actually being suspended for six months after testing positive for cocaine. The PGA Tour never makes their punishments public, something that Daly and Vijay Singh have attacked in the past, and so they simply said that Johnson was taking the absence. 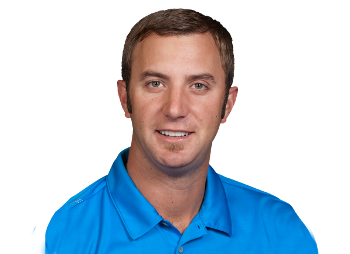 It’s up to you to believe what you wish, but Tim Rosaforte reported that Johnson was targeting a return to golf at the Farmers Insurance Open in February, which lines up with the six month suspension timeline and the birth of his first child. The most electrifying interview in all of golf hasn’t really changed a ton since this photo was taken, but it seems like a really long time since we’ve seen him without that full beard. My guess is that they snapped this photo of DJ before his rookie year in 2008, or maybe slightly after. Still though, he’s very recognizable. With his talent, there is literally no course on earth that Johnson shouldn’t be able to dominate and we’ve seen that when he’s been on his game. He seems to play well just about everywhere, which makes sense when you can bomb the ball right down the middle at 315+ at will and hit irons into greens from 240 out. A lot of the talk around the U.S. Ryder Cup team was rightfully centered on how much they missed with Tiger taking himself out of the event, but there’s no doubt in my mind that not having Johnson and to a lesser extent, Jason Dufner, was a much bigger loss, especially at a place like the Centenary Course at Gleneagles, which seemed tailor-made for Johnson’s distance and sky high ball flight. I do think he seems to struggle at points with course management, but players with his talent don’t come around all that often and when you see his name on the leaderboard, you always have to think that he’s a huge threat. Assuming he comes back in February, how long does it take Johnson to get back to where he was? I have no doubt that this absence/suspension is going to have no real long term effects on Johnson unless he keeps getting himself in more trouble. He’s far too talented to not play well, but there’s definitely going to be some form of competitive rust when he does decide to tee it up again. I just hope that he’s doing better with whatever problems he’s facing because he really is a lot of fun to watch and it would be a shame to see someone with his kind of talent not reach the crazy potential that everyone knows he has. With the birth of his first child on the way, 2015 is set to be a massive year for Johnson off the course as well, making it even more interesting to see how he fares over the next twelve months.